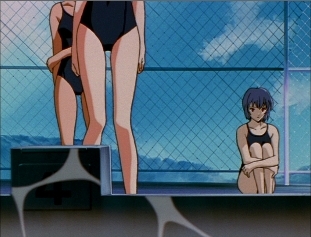 Shinji: I was just wondering why she always stays alone. came to this school in the first grade. Shinji: Sorry, I cleaned up on my own accord. I didn't touch anything except garbage. Rei: "Thank you," the words for gratitude. Those words for the first time. I've never even said them to that person. Reichu wrote: EDIT: Hey, here's another brain-teaser for Sharp-kun on the "Anno's original intentions" deal. Adam is depicted with a core (or what looks like one, anyway) as early as the OP. And you contend that the "underground giant" was originally supposed to be Adam, yet she obviously lacks a core. Just curious about how you'd explain that one. Been removed? Seriously, a lot of stuff I just think they hadn't worked out at that stage. EDIT: Didn't embryo Adam have no visible core? Gah! Shin-seiki robed me of the chance to actually make a substantive post! I’ll just add that Gendo is the reason Rei exists (Or if you believe her creation was an accident, is allowed to continue to exist.) He is the closest thing to family she has. Also before Shinji came along; Gendo was the only person who treated Rei as anything other then a walking lab experiment. We see in the series he asks her to have lunch with him, and inquires as to how school is going. And of course saves her life (Despite that fact that she is replaceable) with disregard for his own wellbeing. 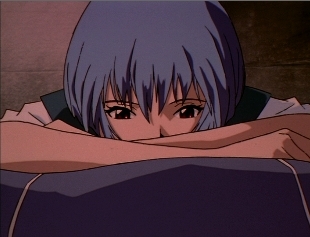 One of the big themes in Eva is that people need each other, and Rei was no acceptation. tv33 wrote: Gah! Shin-seiki robed me of the chance to actually make a substantive post! Sharp-kun wrote: EDIT: Didn't embryo Adam have no visible core? I'll just add that Gendo is the reason Rei exists (Or if you believe her creation was an accident, is allowed to continue to exist.) He is the closest thing to family she has. All true. On the other hand, he is using her, and she knows it. I accept that your analysis has the truth of it, as far as the story goes. I still think that it is more likely that she would have come to despise him by the time the series started, if these were real people in a real situation. Reichu referred to this old thread in a recent post, so I thought I'd bump it. Some would undoubtedly say, "and you still are"